This may be a shocker to some but I LOVE puppies and kid movies! There’s nothing better than snuggling up with your puppy on the couch and watching your favorite movie from when you were a kid (or in my case one of your favorites). 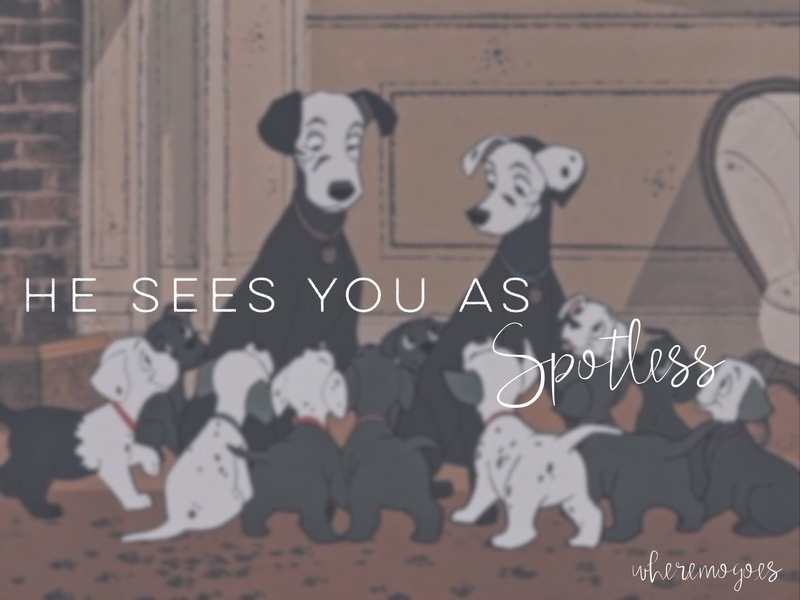 One of the many favorites is 101 Dalmatians. A few months ago I found out that this movie came out in 1961, which was a big deal because my mom was born that year. I did a little bit more research, because I was bored probably waiting in line for coffee, and saw that it came out the day before my moms birthday! How cool is that!? I know you’re probably thinking where are you going Mo? But just stick with me. I was talking to my brother earlier today and he reminded me that when we were kids our dad bought us 101 Dalmatians on VHS and my grandparents bought us the stuffed animals. For those of you that don’t know in Novemeber I lost both my dad and my grandpa to cancer. The worst part of grieving for me is the memories that have been lost. Too often I try my best to remember times I had with them yet my memory of them feels so distant. Sometimes I get frustrated with my self because it seems wrong to not be able to remember someone who you knew your whole life. It makes sense for my dad in some ways since I wasn’t with him consistently but my grandpa had been in my life and I saw him several times through out the week for the past 20 years. Condemnation eats at me for not cherishing moments with them both. I guess that’s why knowing that my dad gave me the movie that I’ve loved since a little girl is so important. And knowing that I remember a stuffed animal that is long gone but I loved so dearly even though I didn’t remember that my grandpa had a hand in giving that to me makes my sets my mind at ease. So this post is probably more for me but know that God cares about the dumb little desires. Truth is that if God woke up and saw 101 of His children running around the city lost He would search for everyone of the. He would even go after the one. That’s what He did and still does with me. He has relentlessly gone after me. He cares about those silly movies you watch and the stuffed animals that are filling the landfill. None of these things advance His Kingdom yet He cares because He loves us so much. Happy Biryhday 101 Dalmatians. You’ll forever be my favorite and a grand reminder of how much my God cares about me. I don’t know where you are with your relationship with God but if you feel lost know that He knows where to find you. He’s going after you. He cares so much. He sees you. And he loves you 100%. He hasn’t forgotten about you. It’s kind of like when Cruel la De vial comes to see the puppies and they don’t have spots and is disgusted by them but in Roger and Anita’s eyes they were perfect. They knew they would get their spots. They could see the puppies for who they’d be not for who they are. That’s how God sees you. He sees the things that bother you now, that you struggle with, he sees your lack of holiness yet He calls you holy. He calls you blameless. For those of you that have been walking with God and it seems like he’s preoccupied blessing, healing, and freeing everyone else know that His love has been and continues to be lavished upon you. Your not the old dog that gets pushed aside when a puppy comes. You’re loved by the Father in ways that are specific to you. I asked God to show me those ways today and He did! I hope you ask Him to do the same for you. He’s been waiting to show you all of the ways He loves you today.